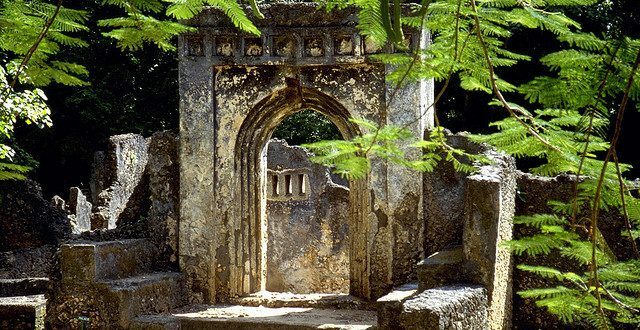 The ruins of Gedi are a historical and archaeological site near the Indian Ocean coast of eastern Kenya. 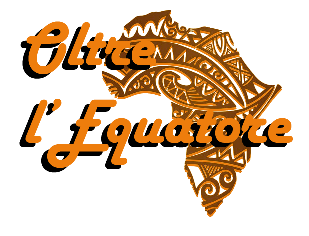 The site is adjacent to the town of Gedi (also known as Gede) in the Kilifi District and within the Arabuko-Sokoke Forest. Gedi is one of many medieval Swahili-Arab coastal settlements that stretch from Mogadishu, Somalia to the Zambezi River in Mozambique. There are 116 known Swahili sites stretching from southern Somalia to Vumba Kuu at the Kenya-Tanzania border. Since the rediscovery of the Gedi ruins by colonialists the 1920s, Gedi has been one of the most intensely excavated and studied of those sites, along with Shanga, Manda, Ungwana, Kilwa, and the Comoros. The site of Gedi includes a walled town and its outlying area. All of the standing buildings at Gedi, which include mosques, a palace, and numerous houses, are made from stone, are one-story, and are distributed unevenly in the town. There are also large open areas in the settlement which contained earth and thatch houses. Stone “pillar tombs” are a distinctive type of Swahili Coast architecture found at Gedi as well. Gedi’s location along the coast and association with similar sites along the Swahili Coast made it an important trade center. Although there are few historical documents specifically associating Gedi with Indian Ocean trade, the site is thought to have been one of the most important sites along the coast. Gedi’s architecture and an abundance of imported material culture including pottery, beads, and coins provide evidence of the city’s rising prosperity over the course of its occupation from as early as the eleventh century to its abandonment in the early seventeenth century.